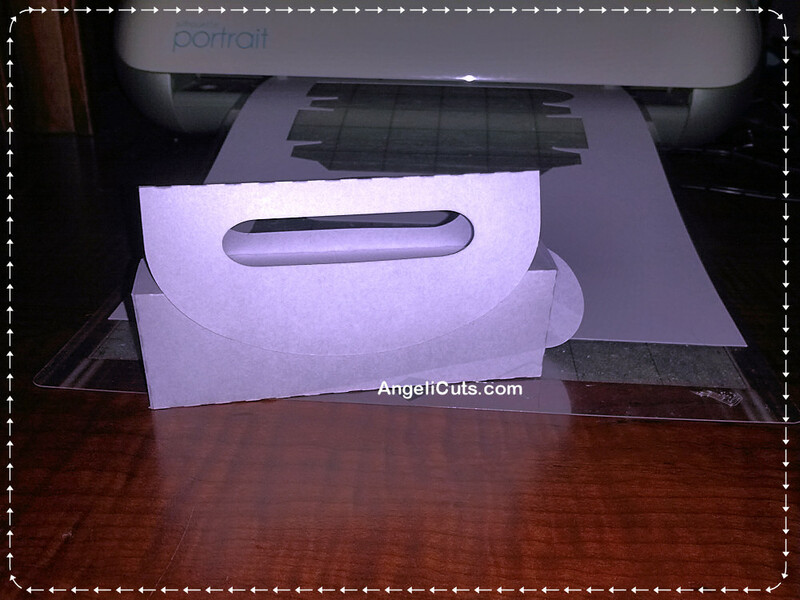 The new Silhouette freebie shape of the week came out today and my mom asked how big it was, so I did a sample cut out. The default size is small. It reminds me of the smaller boxes of candy by the cashier at a grocery store for a single serving. And I used 65lb (cover?) paper and so I wouldn’t put heavy stuff in like chocolate. Candies like smarties would work better. This would be a great favor box for kids under 5.